Home / Blog / We Do / How to Differ Virtual Reality and Augmented Reality Developer? The virtual reality technology precisely referred as VR technology is a 3D computer generated visual environment, which looks like the real world scenario. Many big virtual reality software companies pay huge amounts against the VR developer salary and the augmented reality developer salary payments to get a virtual scenario created. The creation of basic virtual reality scenario is done with the combination of virtual reality software and compatible hardware most commonly the VR headsets. For the creation of advanced virtual reality scenarios, many other sensations, such as sounds, vibrations, wind blows, shocks, waterfalls, physical motion and others are also integrated with the environment to make more sensational and real lifelike scenarios. The growth of both the virtual reality and augmented reality is consistently increasing in almost all domains of industries, especially in the gaming, education, aviation, industrial apps, commercial apps, medical and consumer electronics. The total market size of virtual reality hardware and software will cross $40.1 billion by 2020, as per predictions of Statista website. Moreover, according to the Orbis Research Report published on Reuter website, the global market revenue of virtual reality (VR) domain will consistently grow with a whopping 54.84% from 2018 through 2023. This report also forecasts a huge growth of over 50% of new investments in the domain of VR will be focused towards the virtual reality applications specifically targeted to the solutions of industrial problems. This is a clear indication of a huge growth in the virtual reality development of software applications in the coming years. The major drivers of this gigantic growth in the virtual reality market include the development of the best virtual reality apps, large scale development of VR content, and increasing shipment of VR hardware. To cater the development of VR content and mobile applications, a huge demand of virtual reality developers is round the corner, and it will remain for many years to come. The IDC forecast predicts the virtual reality and augmented reality as the brightest growth spot in the futuristic technologies with a gigantic global spending (estimated) of about $143.3 billion by 2020 with a massive growth of 198.0% CAGR during the 2015 to 2020 period. Thus, the future of virtual reality technology is so shiny in many years to come. If we look at the virtual reality marketplace, we would find hundreds of great apps that are being extensively used for different purposes. A large number of new apps are emerging in the market on a regular basis. Let’s have a look at top 5 interesting virtual reality apps along with their features and virtual reality prices in the market. Virtual reality would break the entertainment tag and will go far beyond in many knowledge bases applications in the domain of education, business, industrial applications, aviation, defense, healthcare and many others. Virtual reality will revolutionize the socializing activities through social media and other communication modes. You would be able to meet your friends in the virtual world and can enjoy the great time with them remotely. Ecommerce would see the real time shopping in a virtual environment along with interactive communication among the sellers and buyers. So new concept of v-commerce is not far away. The demand of VR developers will also increase consistently in 2018 and beyond. 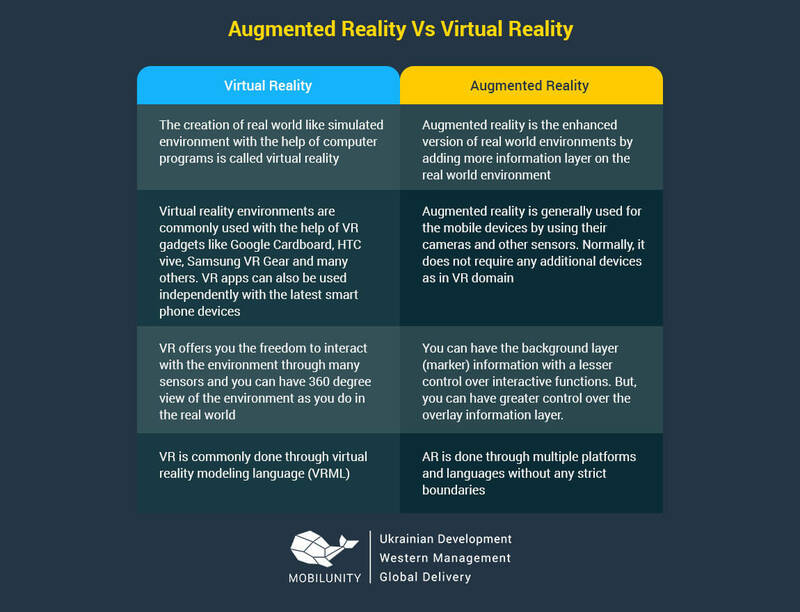 The main difference between virtual reality vs augmented reality is described in the following table. The difference between an AR developer and a VR developer in terms of their skill sets and responsibilities is given in the below table. According to the World Economic Forum website information, the global shipment of VR devices is expected to touch $35 million by 2020 from just less than $1 million in 2015. The software development spending is doubling in VR field. 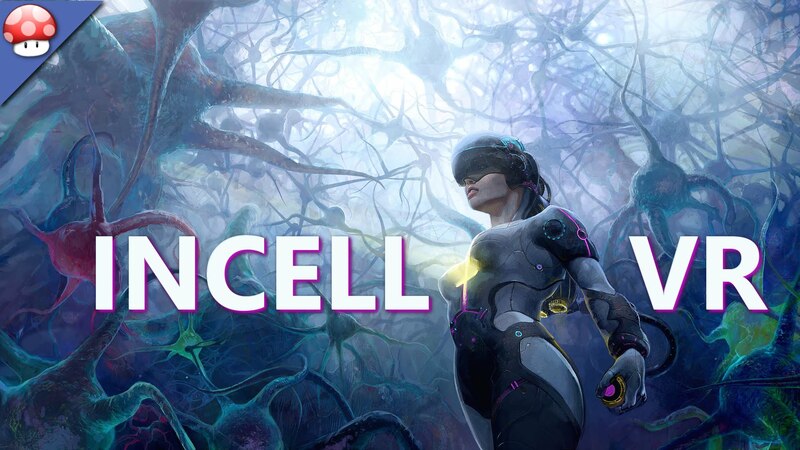 This increases the demand of VR developers across all over the globe. The major players in the VR field like Google, Samsung, HTC, Oculus and others are the major players who drive the hardware market, while all small, medium and large size organizations will remain in need of VR developers across the globe. The cost of VR devices will definitely go down as the demand increases, but this the cost of application development will not go down with the increase in the demand of VR developers. 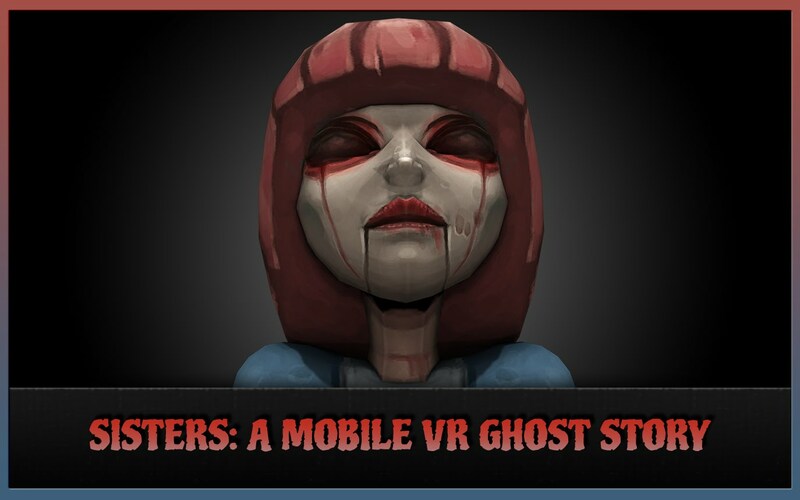 The cost of the VR developers will keep increasing for many years to come. Why to Choose Ukrainian Virtual Developers for Your Virtual Reality Software Companies? 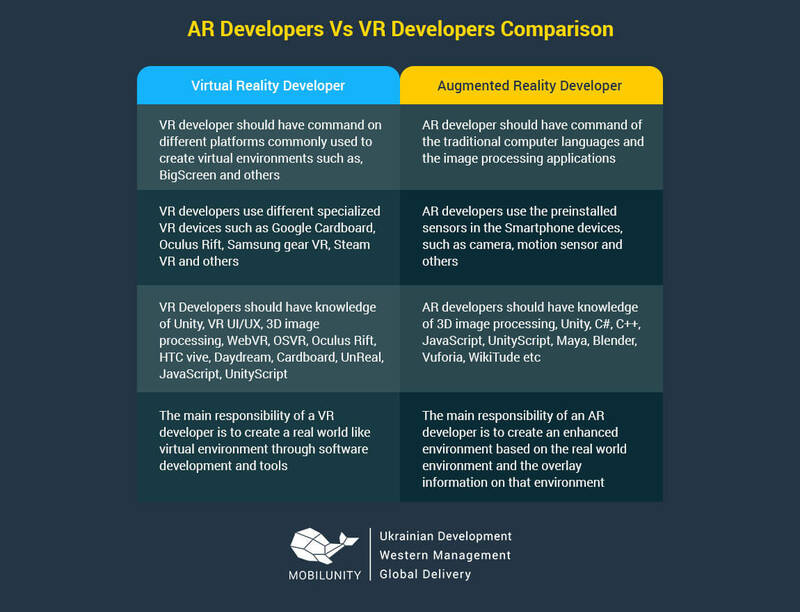 As far as the virtual reality application development cost is concerned, it is very high in the North American and Western Europe due to high living standard/cost. The other regions where you can get highly skilled and qualified virtual reality developers at very competitive price are Eastern Europe and Asia. You can hire Ukrainian developers at very low price while maintaining European standards of development services. Mobilunity VR developer service is one of the best Ukrainian VR developer service providerVR development companies in the region. You get dedicated VR developers and reliable AI development teams at very affordable prices. Contact us now to hire the most skilled, qualified and professionally trained virtual reality developers for your upcoming virtual reality software!